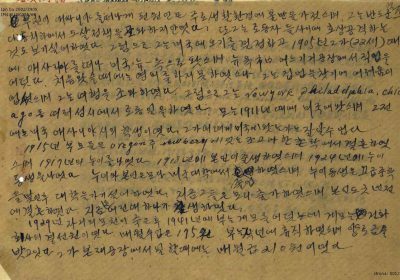 What is the North Korean Archives Project? 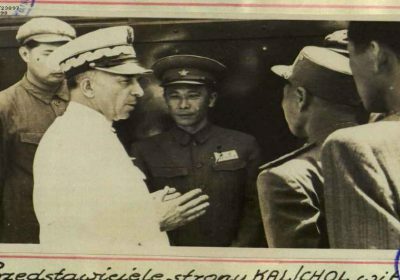 This website and a related publication is a result of collaboration between the Citizens’ Alliance for North Korean Human Rights (NKHR) with the Institute of National Remembrance – Commission of the Prosecution of Crimes against the Polish Nation (IPN). We aim bring light to archived documentation on the Democratic People’s Republic of Korea (DPRK, or North Korea) collected by the communist secret services in formerly communist countries in Central and Eastern Europe. 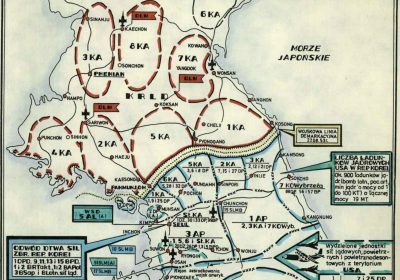 This project aims to collect information on DPRK that is available in the archives of authorities managing communist secret police files in Central and Eastern Europe. The project begins with the Polish documentation uncovered in the Archives of the Institute of National Remembrance with the further aim that collaboration with other similar institutions in the European Network of Official Authorities in Charge of the Secret Police Files will expand our project data through the website and series of publications. The communist security apparatus in many countries, including in North Korea, was initially created with Soviet support and relied on the Soviet model of mechanisms and methods of operations until the nascent apparatus in each country became fully operational and adapted to that country’s political situation. Its major goal was to sustain the totality of power of the communist Party (in case of North Korea, the Worker’s Party of Korea). In each of the countries where communism was implemented by Soviet Russia, it served as the main apparatus of terror. Thanks to the opening of the communist archives in some of the post-communist countries in Europe, we are now able to glean lessons from the operations of the security apparatus and its involvement in severe human rights violations and have a better understanding of the chain of command and responsible personnel. This is especially important, since until the present day, the communist secret police in North Korea, known as the State Security Agency, continues to play a central role in crimes against humanity committed in the country with the full knowledge and approval of the North Korean leaders and the KWP Party to which it is subordinate. The United Nations Commission of Inquiry for DPRK found broad patterns of such crimes in North Korea and recommended the referral of the country’s leaders to the International Criminal Court in 2014. Our aim is that this project will spark further analysis of the structures, type of operations of agencies committing abuses in North Korea to provide contextual information on patterns of institutional criminality in North Korea and to provide evidentiary documents to fill gaps in documentation derived directly from North Korea. We also hope that this project will have a spill-over effect to spark interest more broadly, including among academic institutions, especially in South Korea where such studies lag behind, and that it will be helpful to parties pursuing future accountability in North Korea, in particular NGOs and the UN. Most importantly, we hope that such project will help victims of North Korean human rights violations and their families seeking historical truth in the future. We dedicate this project to the young generations of North and South Koreans interested in the processes of truth-seeking, truth-telling, memorialization and justice; irreplaceable components of peace-building measures.